Being involved in an automobile accident, unfortunately, is oftentimes the start of a frustrating experience. Dealing with both medical recovery, as well as with insurance companies, many individuals become thoroughly exasperated from the whole experience. However, not paying attention to the myriad of documents that accompany the accident can result in much more frustration in the long term. Retaining the services of an attorney experienced in both personal injury and automobile accident law can be crucial to mitigating the frustration and exasperation. An attorney will specifically come in handy if legal proceedings are necessary to collect appropriate compensation. Recently, after being involved in an automobile accident, tennis star Venus Williams, through her attorney, was able to structure a settlement and avoid litigation. While a settlement, as opposed to trial, may seem like a positive outcome, it is important to ensure that the settlement agreement is not one-sided or blatantly unfair. A discussion of the issues related to negotiated settlements in automobile accidents in Florida will follow below. 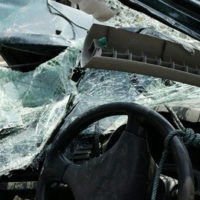 As a preliminary, and to protect all available legal rights, it is important to be aware of the length of an injured party as to bring legal action an automobile accident. This time period is established in a statute of limitations. Once the time period in the statute of limitations passes, the ability to bring a legal action is gone. Since, typically, settlement agreements are entered into with the understanding and enticement that no legal action may be brought, it stands to reason that a party may refuse to enter into a settlement agreement after the expiration of the statute of limitations. In Florida, the statute of limitations for an automobile accident is dependent on whether the accident has resulted in injury or death. If there was an injury, or if there was damage to the automobile, any legal action can be filed up to 4 years after the date of the accident. If a death occurs, a wrongful death suit must be filed within 2 years after the date of the person’s death. The insurance coverage of the parties involved. Although, legally, insurance companies may not engage in unfair or deceptive practices, such as failing to pay valid claims for personal injury protection or failing to properly investigate a claim, it is important to understand that the insurance company is focused primarily on its bottom line, and not the well-being of the individuals involved in the accident. Thus, having an attorney review any potential settlement offer is critical to ensure that an individual, by possibly being overwhelmed by the density of the agreement, is not signing something against his/her interest. If you, or someone you love, were involved in an automobile accident, contact the attorneys at Pita Weber Del Prado as soon as possible. Our experience in personal injury and automobile accident law is extensive, and we also have knowledge in negotiating an effective automobile accident settlement to ensure that any settlement offered by the insurance company is to your advantage. We will use this experience to ensure that you get the most compensation possible. Contact our Miami office today for an initial consultation.